Mammootty upcoming new malayalam movies (films) in 2014 and 2015 with complete list of his future projects is given here. After receiving average response for his previous movies, Megastar Mammootty is gearing up to make 2014 the most successful year in his acting career. His announced projects in 2014 include Gangster, Munnariyippu, Varsham, Manglish, Kadalasu Pookkal and couple of untitled ventures with prominent directors. Read more to know about the upcoming movies of Mammootty in 2014. Even though a number of young actors surfaced in the malayalam film industry, movie makers still believe the star value of megastar Mammootty who had been making his presence alive for the past 3 decades. The journey which started in 1971 still continues unharmed with 375 movies credited in his name. Out of 6 movies released in 2013, it was Immanuel which could impress the audience to some extent. Rest of the movies like Silence, Daivathinte Santham Cleetus, Kunjananthante Kada, Kadal Kadannoru Mathukutty and Proprietors: Kammath & Kammath couldn't do well at the box office. But the film makers still keep faith on the actor for his huge fan support and impressive satellite rights value. Balyakalasakhi followed by Praise the Lord, both directed by new comers couldn't keep the audience intact for its unhealthy script. But much is said about the actor's upcoming projects which are highly packed with suspense and thrills. His movies in 2014 include Gangster, Munnariyippu, Varsham, Manglish, Kadalasu Pookkal and couple of untitled ventures with prominent directors. Gangster, the most hyped malayalam movie of 2014 has too many causes to keep the wave high. Already the movie had raised the interest of the movie lovers' for its first look posters and trailer. This action thriller will have Mamootty in lead essaying the role of Akbar Ali Khan. Nyla Usha and Aparna Gopinath would be seen as the female leads while John Paul, T. G. Ravi, Sekhar Menon, Kunchan, Hareesh Peradi and Dileesh Pothan will give life to other prominent characters in the movie. Written by Ahmed Sidhique and Abhilash Kumar, the movie is produced by OPM and distributed by Aan Mega Media. Blessed with the majestic music composed by Deepak Dev, the Director of Photography will be Alby. 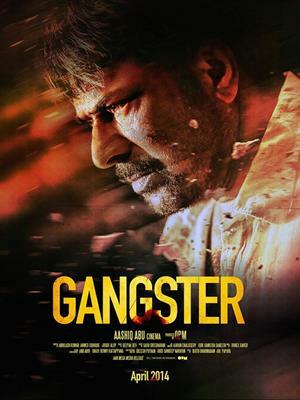 After the final cut, Gangster would reach theatres on 11th April 2014. After 50 days of tight schedule with shooting set at Kochi, Mangalore, Goa and Rajasthan, the movie was packed up. Munnariyippu is yet another project of the megastar which is being directed by cinematographer turned film maker Venu. Aparna Gopinath will be playing the lead lady in this movie. The shooting of the movie has already started at Kozhikode. Produced by Ranjith under the banner of Gold Coin Motion Pictures, the movie will also feature Nedumudi Venu, Prathap Pothan, Renji Panicker, Joy Mathew, Sreeraman, Kottayam Nazeer, Sudheesh and Muthumani donning prominent roles. 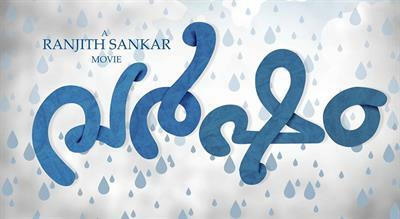 Prithviraj is reported to be in the cast doing a guest role in this movie. The movie pools into an attempt made by a journalist (Aparna Gopinath) to disclose the life story of a person, who is out from jail (Mammootty) after his period of imprisonment. Scripted by R Unni, the movie is blessed with the presence of Bijibal who stays behind the screen as the music director. Ranjith Shankar, who is riding high on the success of his last outing Punyalan Agarbattis with Jayasurya is gearing up to direct Megastar Mammootty for his next venture titled 'Varsham'. Mammootty will essay the role of a quite ordinary person in the movie. The movie narrates the after effects of certain intriguing events which happen in the life of the lead character. Set in a family background, the movie will be produced by the director himself, under the banner of his home productions. Sujith Vasudev will stay behind as the Director of Photography (DOP). The music for 'Varsham' will be set by Bijipal. The female leads and rest of the cast have not been yet finalized. The other movie in pipeline for the actor includes Manglish, Therali, Kadalasu Pookkal and quite a few untitled projects. Therali scripted y journalist Mau Prasad and directed by Renji Panicker will be a thriller. Renji Panicker has earlier directed Mammootty in his movie Roudram. Journalist Manu Prasad will be handling the script of the movie. Another reported project of the actor will be 'Kadalasu Pookkal' directed by debutant Karthika. Madhu Ambatt wields the camera for the movie which has Munnar as the main location. An interesting work under discussion is 'Manglish' to be directed by Salam Palapetty. Fahad Fazil and Anusree will be seen in prominent roles. To be produced by Muhammed Haneef under the banner of Red Rose creations, the story of the movie revolves around the life of a person who speaks only English, even at incongruous situation.